A well-marked property is essential for accessibility, appearance and ease-of-use. 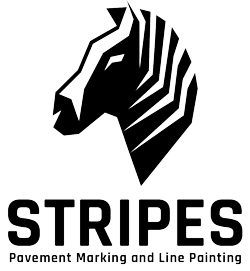 Stripes offers a range of high-quality parking lot signs and installation solutions. From retail business lots to residential complexes, we provide our customers with the parking sign solution that best fits their needs. Where your property has its own signs, we can install them. Where you need signs, we can provide them. We deliver the full range of sign posts and sign bases. Steel posts offer years of high-quality performance and are offered in a range of lengths to best suit your needs. Plastic and steel – these signs are on springs. They prevent damage to cars and itself. Can be mounted to pavement or concrete.